After jumping over the hurdle of assembly, you won't be disappointed by the functionality and ability to blend right into the kitchen table. We truly enjoyed using the Keekaroo Height Right with Infant Insert. Although it is more modern in design than some of the other chairs, we never felt like the baby or older kids were using a delicate piece of household furniture. Once you get past its not-so-easy assembly, you'll find the Height Right is a sturdy little piece ('little' in that it doesn't take up much floor space at all) that can be utilized by almost every member of the family. It is easy to clean and comes with a seriously durable infant insert that our baby enjoyed very much. With a little elbow grease, you can keep this chair looking shiny new by simply wiping down all the components. It does not feature a 5-point harness, but rather a 3-point pelvic belt that we feel keeps baby just as secure. Much like it's counterpart, the Stokke Tripp Trapp, this is a welcome addition to our home. Read on to find out more about this top-scorer! With a vast array of color and finish possibilities, the Keekaroo Height Right high chair will blend right in around your dining room table. Our toddler tester thoroughly enjoyed being part of the group during meal times, and even with the infant insert, she fit nice and snug against the table. The small tray doesn't hold much in the way of plates and cups but is just the right size for the amount of food a toddler needs. Additionally, the smaller plastic snack tray can be washed easily in an average size kitchen sink. Although not an award winner, we still thoroughly enjoyed using this product. The versatility of the Keekaroo Height Right. Keekaroo was founded in Dolgeville, NY, a small town at the foothills of the Adirondacks, and is still located there today. From product design to manufacturing labor, they work closely with their small town in the heart of Central New York. 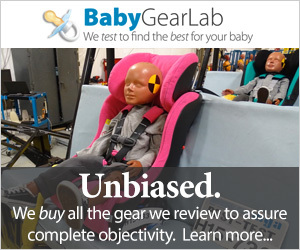 Their "Comfort Cushions" and "Infant Inserts" are proudly made in the USA. They also manufacture quality high chairs, kid chairs, boosters, and diaper pads. Their products are sold through select online or retail stores and are all JPMA Certified for safety. Additionally, all products come with a five-year warranty. The Keekaroo has the right idea when it comes to the necessary features without going overboard in extras. Baby enjoyed her meals at the dining table using the infant booster insert, but not the tray. The Height Right is made for use with babies 6-months and older, but can be used all the way through adulthood with its 250-pound weight limit! It incorporates a 3-point harness with a removable pelvic belt that is easily adjustable and features a one-hand release button. The infant insert is easy to remove when baby has grown out of it and made in the USA with a super durable material (the same material used in the medical and special needs markets). The snack tray effortlessly slides in and out of the side attachments, which is also easily removable with the provided Allen Wrench when your baby outgrows the tray. Many snack trays, like the one from the Keekaroo shown here, are dishwasher safe, but we recommend using warm soapy water to clean them by hand instead. Like many other regular pieces of household "dining furniture", this chair does not sport any fabric. Although the fabric is a nice touch when dealing with babies and their comfort, it is not always the easiest to keep clean. The Keekaroo and the infant insert both wipe clean with ease, and although food can get stuck under the infant insert, it is a simple thing to loosen the straps and lift the whole piece up to clean underneath, much like the insert in the Boon Flair. One minor issue we did have was some food getting stuck in the velcro patches that hold the infant insert in place. However, we are generally pleased with how simple and quick it wipes clean. Baby was always very comfortable in the sturdy Keekaroo when using the infant insert. As a bonus, the insert is also extremely durable. We find the quality of this chair to be quite high. It is sturdy and stable, and while sitting in the infant insert, our toddler tester had great posture and excellent seating ergonomics. Since the baby is seated perfectly upright and not reclined, there is no danger of slipping out once you remove the tray. The passive crotch restraint on the infant insert adds an extra level of security. Of course, always stay close to your baby and never leave an infant unattended in a high chair. We cannot say enough good things about the infant insert piece, which promises to be peel and tear resistant and find it amazingly durable just as the company promises (we did try to puncture it with a fork, and couldn't manage to make a dent). Additionally, this chair is JPMA Certified to the highest safety standards to give you even more peace of mind. Unfortunately, this is where the Keekaroo took a big hit. Out of all the chairs tested, it is one of the most difficult to put together. Set up time was the longest; it took us a whopping 32 minutes. Although the instructions are pretty clear, they aren't that intuitive, and we found it much easier to put together the Stokke Tripp Trapp, which is similar in design. This chair did not take up much floor space, and was easy to slide across kitchen tile floor. The chair has a nice, small footprint, at only 470 square inches. When pushed in, it fit right in around our table with the other wooden dining chairs. And although it does not come with wheels as many of the other chairs do, we did not find it difficult to move around, and it even slides nicely over a tile floor. If you have hardwood floors, you may want to consider protective pads, much like you would put on regular dining chairs. At 21.1 pounds, it is right in the middle of the pack regarding weight. However, the ease in which we were able to maneuver this chair into and away from the table makes weight a non-issue. This chair is best suited for those families who would like a versatile high chair that can double as a piece of furniture and not look like another piece of baby equipment. Even with the infant insert and tray attached, you still won't get that bulky high chair vibe. Keep in mind that this chair will not accommodate your infant, as to be safely secured in the chair's 3-point harness baby must be at least 6 months old. There are no shoulder straps with this seat, but after removing the infant insert the harness remains so you can secure an older toddler during meal times. Given the fact that the Height Right, along with the Stokke Tripp Trapp, can hold up to 250 pounds, your investment in this chair will no doubt go a long way. Happy baby! The Keekaroo Height Right functions just like other dining chairs, and will do a great job blending in to your kitchen furniture. We were delighted to use this chair, and we think you will be too. Our toddler tester very much enjoyed her seat at the dining room table with the rest of the family and was quite comfortable sitting in the infant insert seat, even though her feet could not reach the footrest when using it. We felt as if our baby was secure enough even without the shoulder harnesses, and the straps were easy enough to adjust to give her a snug fit. Overall, the Keekaroo is a nice, sturdy chair that will surely have a place in your kitchen for years to come. Keekaroo also makes a Cafe Booster Seat that is similar to the infant insert but made for bigger booties, for $60. Amazon $207.14 - 10% off!